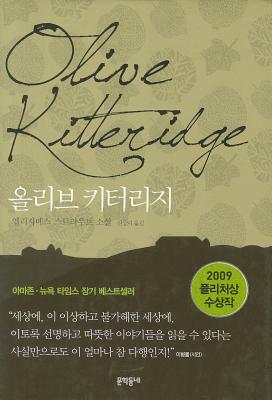 2009 the Pulitzer Prize winner OLIVE KITTERRIDGE by Elizabeth Strout, author of Abide with Me (2006). These compelling thirteen stories linked to each other portray the lives of ordinary people in Crosby, Maine. Named as the best book of the year by numerous magazines and newspapers including USA Today and The Washington Post Book World. Korean edition translated by Gweon Sang Mi. In Korean. Distributed by Tsai Fong Books, Inc.